This is one of the most famous restaurants in Aviano. They speak English really well and are very nice, family and baby friendly. Everybody has been here and if you haven’t, you’re missing out. It’s also close to Area 1 (5 minutes away) so if you live in Aviano, definitely place to go. The restaurant is bigger than as it seems like. They serve typical Italian food – pizza, pasta, risotto, lasagna and some seafood, etc.. 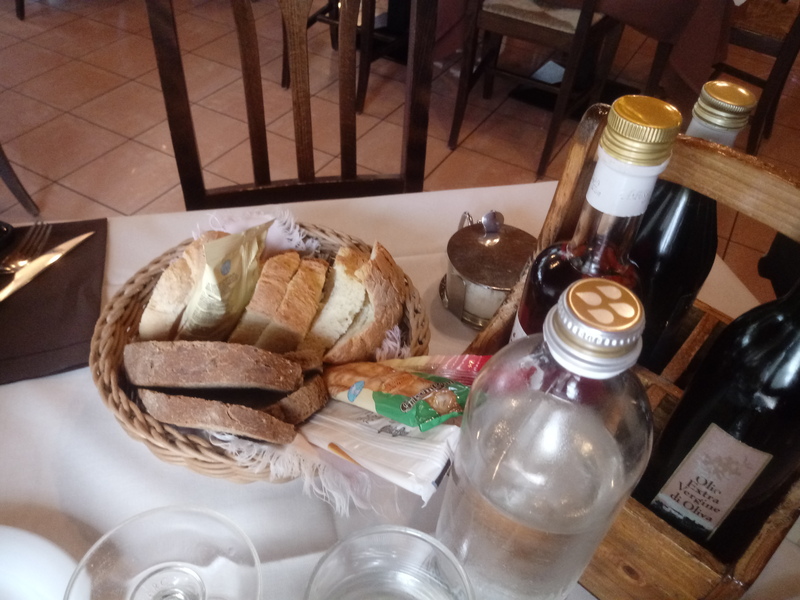 They bring out breads and olive oil as usual. But there’s one thing that makes me keep coming here. It’s their spicy oil that has actual peppers in it. I am from Korea and I love spicy food. Italian spiciness just doesn’t satisfy me. But this one got me good. If you don’t enjoy spicy food, don’t try it. 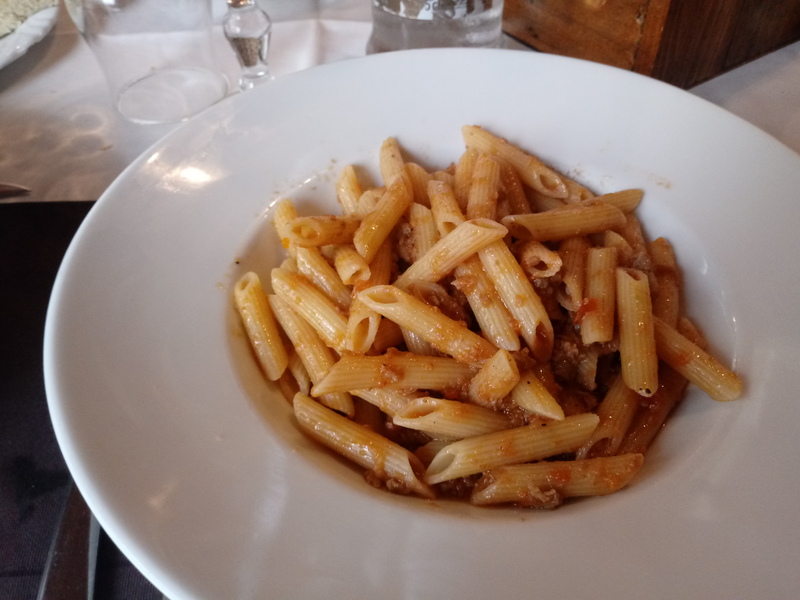 I have been here many times and my favorite dish is pasta with duck meat sauce. It has strong but appetizing duck flavor. It’s very simple and I always find it better with penne pasta. 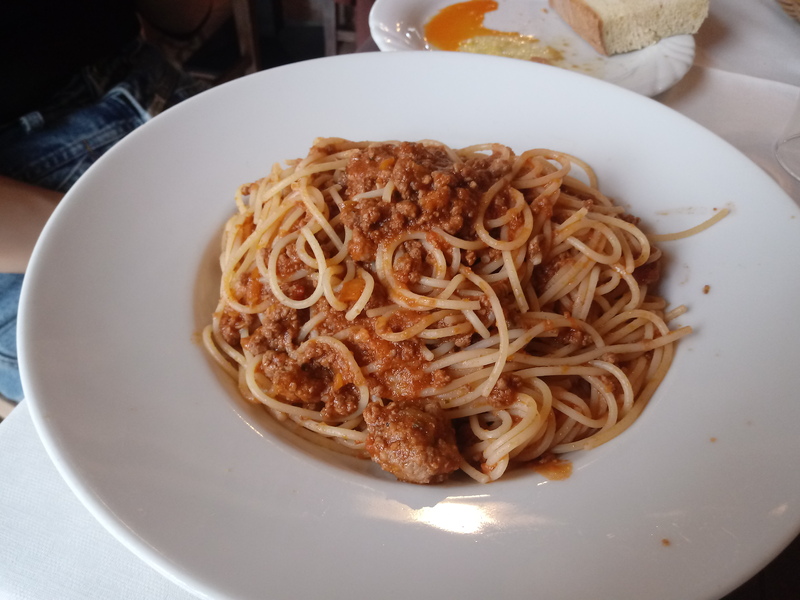 The other pasta that I recommend is pasta with meat sauce. Bolognese so to speak. It’s the very first menu of the first course section. And I think it’s earned that place. As its name says its just meat sauce pasta so it has light but savory taste. There’s 6th taste that makes you keep wating to eat this pasta. And it’s a lot of pasta but you’ll find yourself with an empty dish in no time. One last thing I love about this place is the coffee. I’m sure some people prefer Starbucks but I love both equally. This coffee called ‘Caffe d’Orzo’ is my favorite Italian coffee. It’s coffee with barley and I have never got this good Caffe d’Orzo at any other place. Most of the time other restaurants give it to you with a strong unpleasant burnt smell. But here you’ll only smell a nice and light barley scent. If you’re interested, don’t hesitate.They also have wine tasting events too. Super family friendly with a decent price. What is the name of the ski lodge half way up the hill to the ski resorts… I stayed there in 1998, not sure if it has a new name. It was across the way from a “strip” joint… but a nice motel/hotel with food.